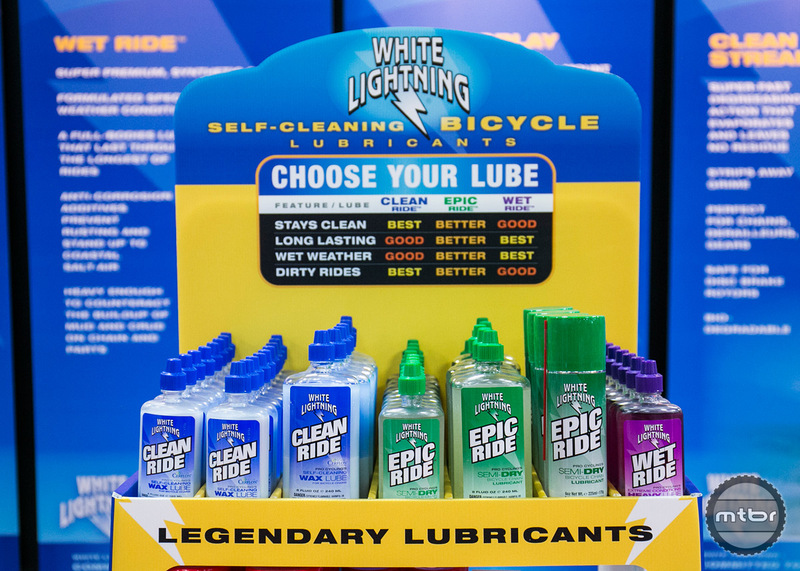 Most cleaning products turn your matte finish glossy, but White Lightning‘s new Matte Finisher keeps your bike looking sinister. White Lightning Marketing Manager Derek Goltz demonstrates the new Matte Finisher, Bamboo Cycle Wipes, and their Trigger chain cleaner. Matte finish paint jobs are in, but until now, there wasn’t a great cleaning product available. 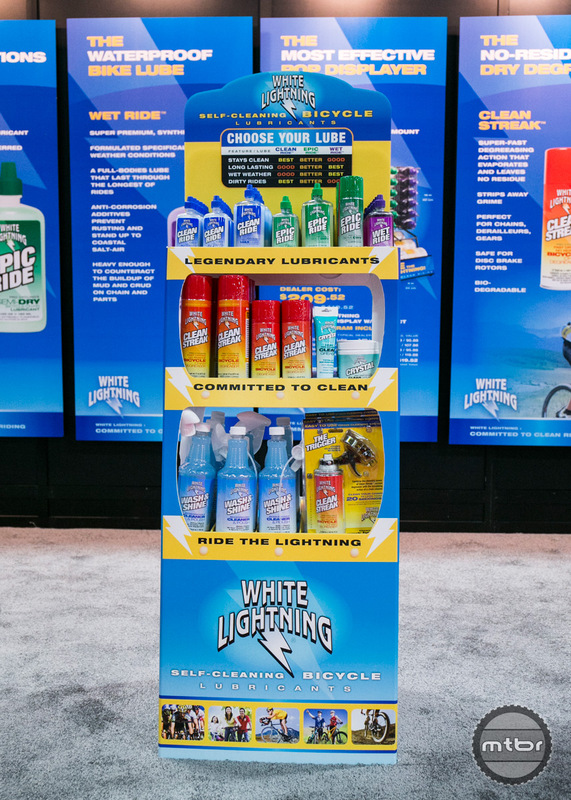 White Lightning’s new Matte Finisher is a water less cleaning product that leaves matte products looking matte – not shiny. Also new from White Lightening is their Bamboo Cycle Wipes, which as the name implies, are made from bamboo. The material is super strong, but still very soft, which makes it versatile enough to clean your bike or hands. The wipes are available in individual packages or shop size and is biodegradable in 28 days. They’ve also introduced a new chain cleaner mechanism called the Trigger that attaches to a bottle of Clean Streak. The device clamps over the chain and allows you to degrease your chain one handed in under 30 seconds. Clean Ride literally sheds dirt & grime while you ride, keeping your bike running smoothly. Clean Ride sets up as a dry wax film. There is no oily film to attract abrasive contaminants, so your chain and gears will perform better and last 2 to 3 times longer. Clean Ride's self-cleaning action is activated by aClean Ride literally sheds dirt & grime while you ride, keeping your bike running smoothly. Clean Ride sets up as a dry wax film. There is no oily film to attract abrasive contaminants, so your chain and gears will perform better and last 2 to 3 times longer. Clean Ride's self-cleaning action is activated by any dirt, grit or grime that finds it's way onto your chain or parts. Epic Ride is an excellent all-conditions bicycle lubricant that satisfies the demands of road and off-road cyclists. Extreme durability, smooth shifting and quiet riding –in all riding conditions. 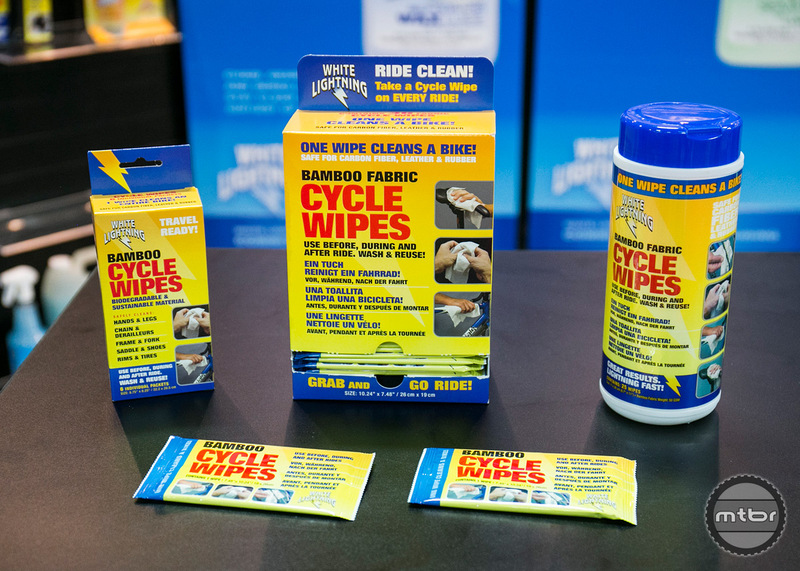 Made from Bamboo, White Lightning Cycle Wipes are tough, durable, and tear resistant. They have a waffled texture that absorbs more grease and grime than ordinary wipes and are treated with a solution that is strong enough to clean a bicycle chain, yet safe enough to clean a cyclist's hands. Matte Finisher is formulated specifically to remove road and trail grime, fingerprints, nutrition residue, oil splatters, and rim glaze. Matte Finisher maintains deep matte colors and offers a streak-free finish that is safe for all surfaces. 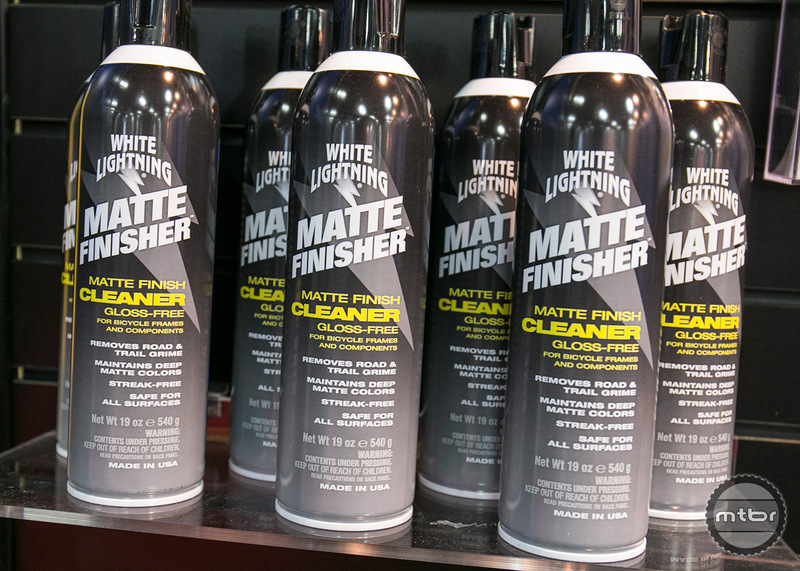 Thanks to clinging foam technology, Matte Finisher makes it easy to spot clean with precision and confidence. Clean Streak sprays onto the chain while brushes and scrubbers strip away grease and grunge from the chain. 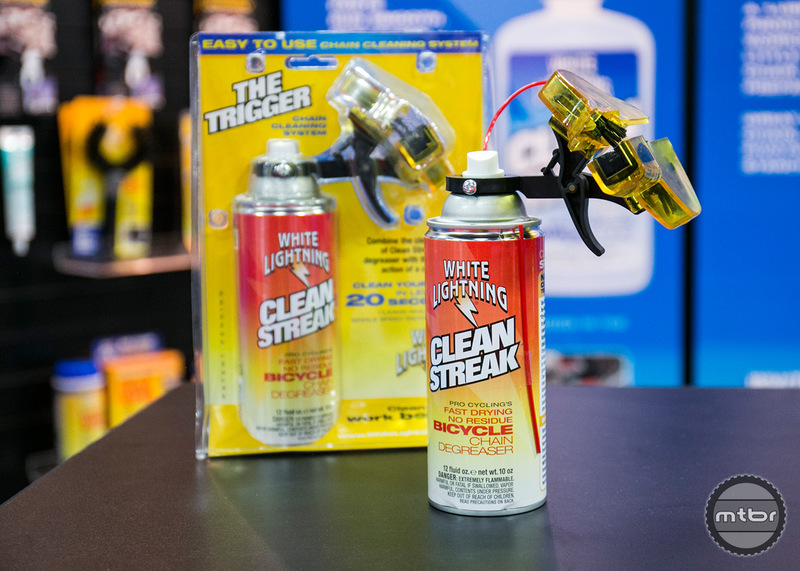 The Trigger Chain Cleaner kit includes a 12oz Clean Streak CFC-free aerosol degreaser. 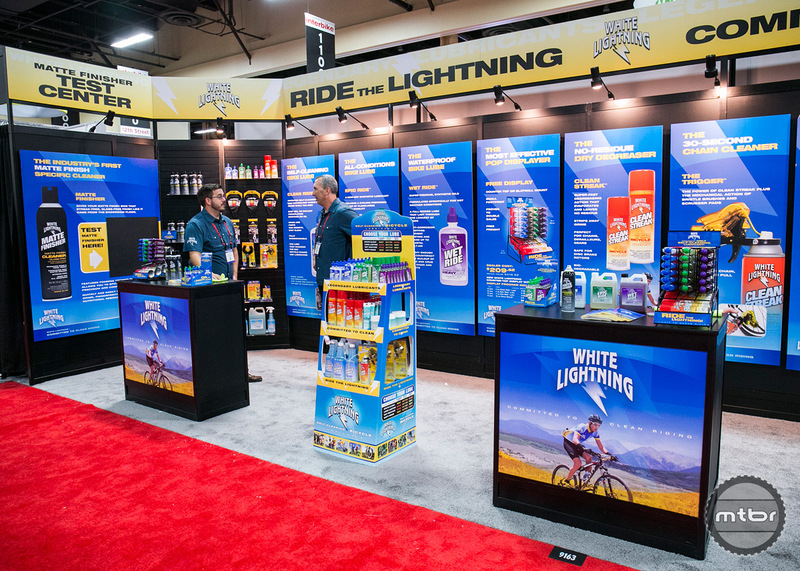 White Lightning products on display.